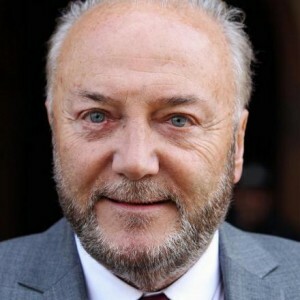 Good luck to George Galloway on launching his campaign to become Mayor of London this coming Sunday 14th June, I do hope he succeeds, of course he will if he wears the 1940s dinner jacket he purchased at my shop in Notting Hill Gate. I saw him wearing it on Question Time soon after, sporting a white collarless shirt underneath, very Poldark and so stylish! I do feel dinner jackets can be worn on most occasions for both men and women dressed up or down. The men can put a tie yourself black bow tie around their neck if they are wearing a dinner shirt (untied of course) and for the women a long strand of pearls knotted or even a white marcella pique bow tie in place of a choker necklace would look great with a waistcoat only under the jacket. I will let you into a little ‘in house’ secret – wool vintage dinner jackets are easily washed on a cold wash and gentle spin, they need to be dried on a windy day out of the sun to avoid fading and a damp cloth on the jacket when you iron it will ensure a fantastic result. These jackets should always be stored clean to avoid moths, they love body fluid and organic matter to feast upon.